MATIS Paris, a cosmetic brand with 80 years of professional care expertise dedicated to women´s beauty, entrusts to VIROSPACK the packaging of Réponse Intensive. Matis, founded in 1936 in Paris, is a pioneer company in professional beauty treatments with a good relationship of expertise and development of tailor-made treatments to their clients. A professional brand, today recognized as beauty expert of beauty salons around the world. 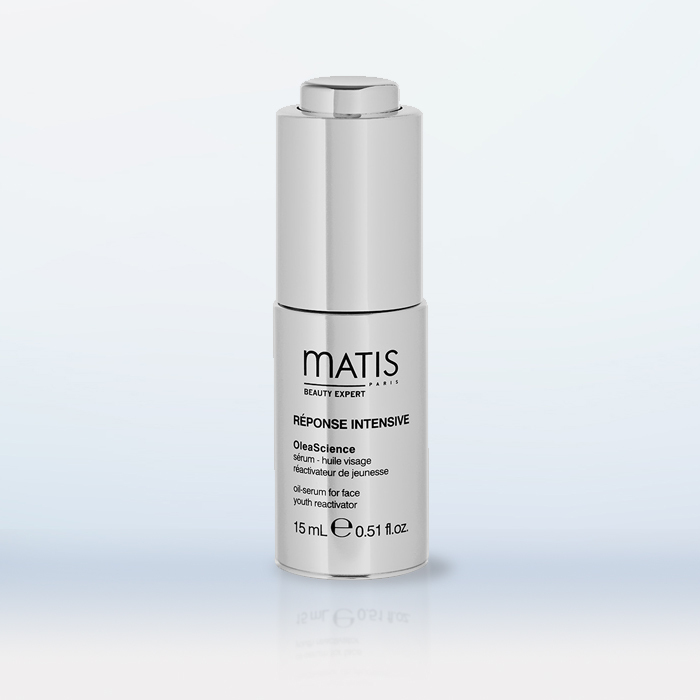 Matis creates formulas for all skin types to respond to each skin type and need, also at home. 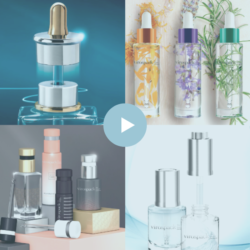 The company has large and complete ranges of cosmetics to extend and support the treatment efficiency at home, offering to the consumer the brand’s expertise at home too. A new generation of comfortable and non-greasy oil textures. The performance of a serum combined with the comfort of an oil provides a genuine compensating effect to even the most demanding skin faced with ageing. It is a genuine anti-ageing beauty experience to be lived, an exceptional concentrate, with a deeply generous formulation and its effects work simultaneously on wrinkles and skin elasticity. 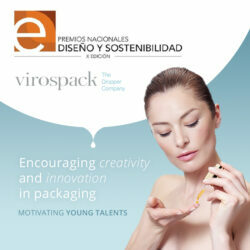 OLEASCIENCE IS PRESENTED IN A FULL PACKAGE BY VIROSPACK, THE WORLDWIDE LEADER MANUFACTURER OF DROPPERS WITH 60 YEARS OF EXPERIENCE DEVELOPING AND PRODUCING DROPPERS FOR COSMETICS. This exceptional serum is presented in a dispenser dropper pack of 15ml of capacity with a professional and cosmetological image. High quality pack with extra weight insert of 18.5 g.
The push button dropper and the vial are both in a shiny silver metal shell. Produced and decorated in Virospack´s facilities, with screen painting in black playing with different sizes and kind of letters following the brand´s briefing. A set of harmonic proportions for an elegant and premium final package that transmits the brand’s professional positioning.